Curious about the people who are making the world healthier and safer for us all, and what set them on that path? 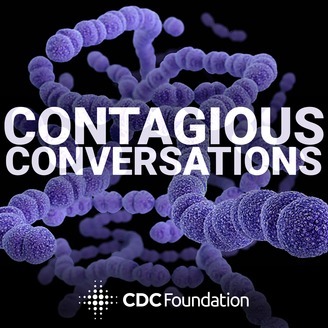 Get inspired as the CDC Foundation interviews experts who share their unique perspectives on today’s toughest health challenges, such as antibiotic resistance, global disease outbreaks, health equality and more. Maryn McKenna is an independent journalist and author who specializes in public health, global health and food policy. She is a Senior Fellow at the Center for the Study of Human Health at Emory University, and the author of the 2017 bestseller BIG CHICKEN: The Incredible Story of How Antibiotics Created Modern Agriculture and Changed the Way the World Eats, as well as the award winning books Superbug and Beating Back the Devil: On the Front Lines with the Disease Detectives of the Epidemic Intelligence Service. In this episode Maryn shares her unique career journey, describes why storytelling matters, and tells us what it’s like to cover stories on the front lines of disease outbreaks. [1:04] How Maryn became a journalist. [2:27] Immersion in the public health field. [4:01] Falling in love with investigative journalism. [5:04] Realizing the need to become a storyteller. [6:02] The unique challenges of public health storytelling. [6:18] The role of journalism in increasing awareness. [7:40] On the frontlines of a health response. [10:32] Why did Maryn get interested in the area of antibiotics resistance? [13:53] Seeing statistics about how we use antibiotics in livestock compared to medicine led to a new book. [16:50] An experience in France that changed Maryn forever. [19:33] Does Maryn still eat chicken? [23:15] Acute flaccid myelitis, new epidemic in the USA. 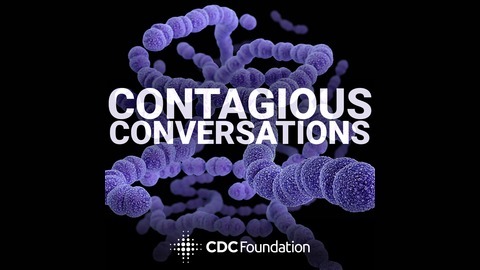 [24:10] Concerns about U.S. public health in response to epidemics. [26:14] Antibiotics development is expensive and challenging . [26:48] The role of public-private partnerships in public health. [29:12] Maryn’s advice to young people pursuing journalism. [31:05] Journalism’s openness to people from other fields today. For more information about this episode go to Contagious Conversations.